I’m the sort of person who likes to keep their books in pristine condition, and people have often remarked how tidy the spines of my books are. In contrast, there are some people who believe that a well-cracked spine means a lived-in book. Recently, though, I’ve discovered a few books that have a history. 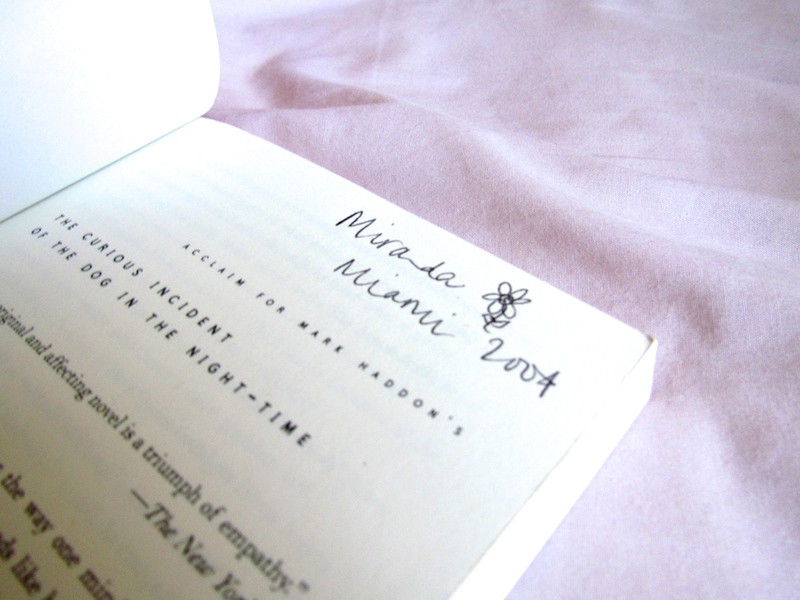 In a copy of The Curious Incident of the Dog in the Night-Time by Mark Haddon, I found this note. Whilst I would never, ever write in a book without being able to erase it, I find it so interesting to read notes that other people have written. It creates so many different questions in my mind: Who is Miranda? Why was she in Miami? How did the book get to be in the charity shop? It’s a whole fictional world in my head, within the fictional world of the book. 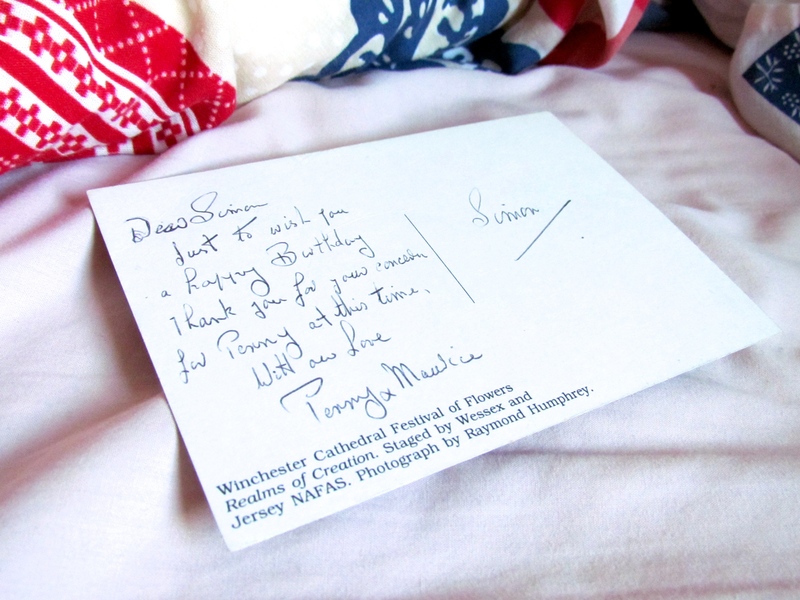 I found this postcard in a copy of White Teeth by Zadie Smith, but this one isn’t so much of a secret. Although I also bought it in a charity shop, a sticker inside meant that I knew who it belonged to (I’m not sharing it because of personal details). I love the personal touches and seeing a glimpse into other people’s lives. It makes books so special. Have you ever found notes in a book you’ve bought? Would you write them yourself? I love notes in books! It just brings that sentimental touch with them, you know? Just seeing, touching, someone else’s words makes me think of who they are, were, why they’d give this up, what memories came with this? I love that little bit of history! I’m…impartial to writing a thing or two in my own books. It helps me remember who I was when I read it for the first time, what I loved, what I didn’t. It’s a little way to me to encase the past. An anchor, if you will. 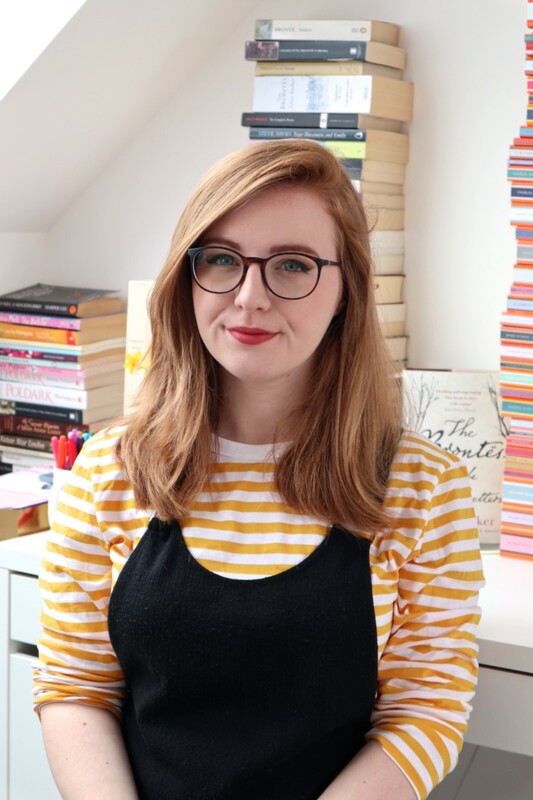 Rachel (Booktastic Reviews) recently posted…Let’s Discuss… Other Reading Material! I don’t own any books with notes in them, but I have checked out a handful of books from the library that have notes in them. I kind of love it because it creates this unexpected connection to the story and in a way the person who wrote the note. I don’t write in my books, but it does make me smile to see people’s notes in books. I remember reading one for uni, and there was a note with a comment about how awesome my favourite lecturer was. It made my day to see that someone felt the same way. Great post, Lucy!